Kittilä is a municipality of Finland and a popular holiday resort.It is located in northern Finland north of the Arctic Circle within the Lapland region. On the 12th (Thu), fly down the slopes at Levi Ski Resort. Keep things going the next day: make a trip to Snow Village, don't miss a visit to Giewont Husky Adventures, admire all the interesting features of Ice Karting Levi, then make a trip to LUVATTUMAA - Levi Ice Gallery, and finally get your game on at Kid's Land. To find ratings, traveler tips, maps, and other tourist information, you can read our Kittila itinerary planner. Manchester, UK to Kittila is an approximately 9.5-hour flight. You can also drive. The time zone difference moving from Greenwich Mean Time to Eastern European Time is 2 hours. Prepare for cooler weather when traveling from Manchester in December: high temperatures in Kittila hover around -5°C and lows are around -15°C. 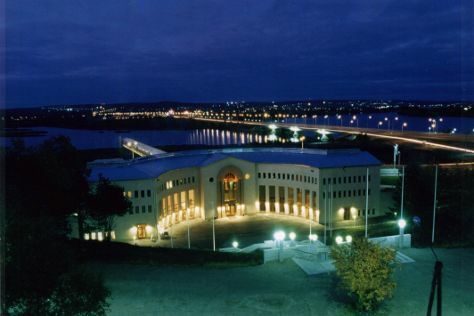 Wrap up your sightseeing on the 13th (Fri) to allow time to drive to Rovaniemi. On the 14th (Sat), get in on the family fun at SantaPark - the Home Cavern of Santa Claus, enjoy some diversion at Santa Claus Office, and then get in on the family fun at Santa Claus Village. Keep things going the next day: take in the views from Lumberjack's Candle Bridge, explore and take pictures at Lappi Areena, then get engrossed in the history at Arktikum, and finally don't miss a visit to Lordi's Square. For more things to do, photos, other places to visit, and more tourist information, read Rovaniemi online trip itinerary maker . Traveling by car from Kittila to Rovaniemi takes 2 hours. Alternatively, you can take a bus. Expect a daytime high around -6°C in December, and nighttime lows around -13°C. Finish your sightseeing early on the 15th (Sun) to allow enough time to travel back home.